In the early 1700s, the Creek Indian village of Snodon occupied the land in what is today the historic core of downtown of Winder, Georgia. By the 1790s, white settlers had established a small village there called Jug Tavern. It was nearly 100 years before the first railroad came through, and by 1894, the town had changed its name to Winder in honor of the general manager of the Seaboard Air Line Railroad. Winder was at the time in the peculiar situation of being located in three different counties. The jurisdictional nightmare story is told of a man standing in Jackson County who was shot by a man standing in Gwinnett County. The wounded man fell down and died in Walton County. 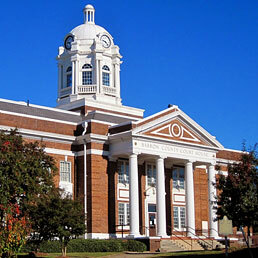 Relief came in 1914, with the formation of Barrow County and the naming of Winder as the county seat. 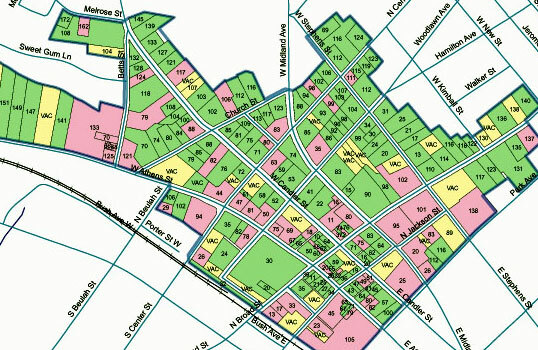 The City of Winder commissioned a Historic Resource Survey for its locally-designated historic district from Keystone Preservation Associates in 2009. At that time Laura Drummond was a founding partner of Keystone. 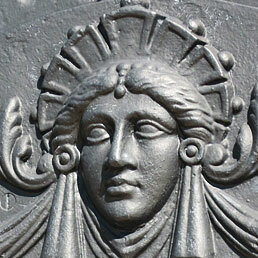 The locally-designated historic district, which includes within its border three National Register districts, was surveyed, and the data entered into a spreadsheet created by Laura, which allowed data entry only in the format prescribed by the State of Georgia’s online natural, archaeological, and historic resources database. Laura took district photographs, entered all the survey data into the database, edited the final report, and produced the project outputs, including survey inventory sheets, district spreadsheets, archival photographs, and a series of Geographic Information System (GIS) maps. She created database files to be compatible with Barrow County’s GIS system.